As a young and emerging industry, we have found that explaining what the blockchain is, and its potential capabilities can be almost impossible. With this in mind, I’m going to start a regular series where we dive into the practical use cases of the blockchain, how it is solving the problems of today, and where this potential can take us in the future. For our very first issue, let’s take a look at the world of counterfeiting, and how blockchain is being used to tackle this problem. There is one distinction I want to make clear before we go too much further. When we are talking about real use cases, we are talking about the underlying technology that enables Bitcoin, not bitcoin itself (or other cryptocurrencies for that matter). Yes, currency is one use case, and we will touch on it in later articles, however, it is not the sole reason that blockchain is revolutionary. Think of blockchain like this: the blockchain is like your smartphone. Currency (like bitcoin) is one app on that phone. Now think about how many other apps are available in the app store or google play. That is the point we’re going to get to, in terms of real-world applications, for blockchain technology, and it is important to understand that distinction as we go through these use cases. 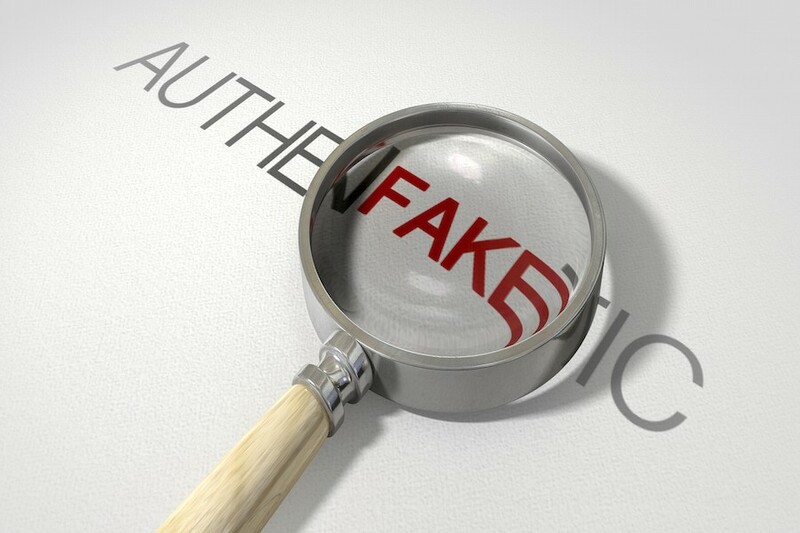 If you’re anything like me, money, and fake fashion accessories (handbags, clothes etc…) are probably the first things that come to mind when you think about counterfeit goods. However, it is often the industries we don’t consider that are the most affected, and hardest to enforce. The counterfeit medicine market is now responsible for around 1 million deaths per year, in an industry estimated to be worth $75bn annually. 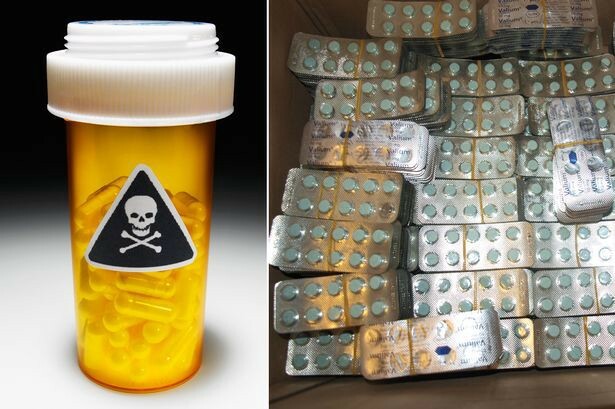 In fact, the counterfeit medicine industry is estimated to be growing at twice the rate of legitimate pharmaceuticals, making it up to 25 times more lucrative than the global narcotics trade. In 2016, the OECD and EUIPO used worldwide seizure statistics from 2013 to calculate that close to half a trillion dollars per year of world trade was in counterfeit or pirated products. This includes fake fashion products, critical technology components, as well as automotive, aerospace and consumer electronics. According to the Semiconductor Industry Association, the production and sale of counterfeit semiconductors are estimated to cost legitimate businesses up to $200bn per year. 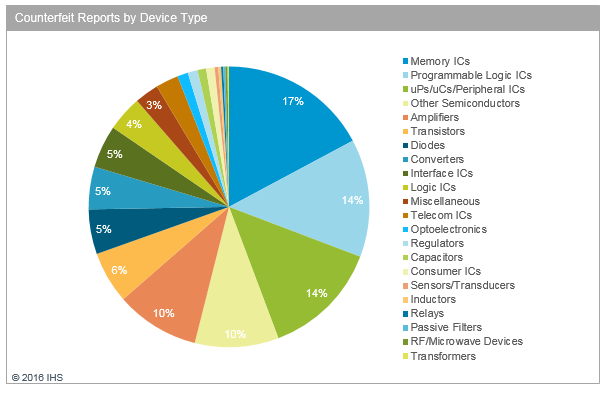 Although products with dynamic memory and programmable logic are the most affected, most electronic components have been subject to some form of counterfeit. Although the amount of pirated software is generally in decline, it is estimated that the market for pirated software still accounts for close to $50bn annually. The Asia-Pacific region takes the #1 spot with more than 57% of all software in use in 2017 being unlicensed or counterfeit. Globally this number is around 37%. Intellectual property (IP) is often thought of as an intangible asset class, such as branding, trademarks, and licenses. However, it also covers trade and manufacturing secrets, and copyrighted materials such as photographs, business plans, website content, articles, and software code- many things that are easy to copy and reproduce thanks to the Internet. A 2014 estimate pegged the cost of cybercrime at $445bn, a figure that is not only rising year on year but also pegs IP fraud as responsible for around 25% of all cyber-crime. Why hasn’t the problem been addressed so far? 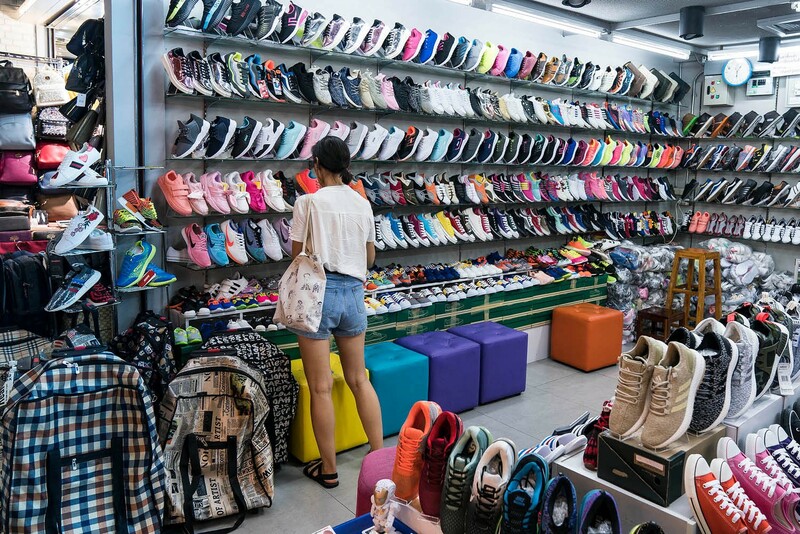 The sheer size of the counterfeiting industry can be overwhelming, and until recently, tracking the manufacture and supply of legitimate goods versus counterfeit ones had been near impossible. Not to mention the lack of enforceability over cybercrime and theft of IP. Thankfully, the blockchain presents a number of very real use cases to solve these problems, and not only protect companies from the economic loss but also ensure the safety and security of the consumer. So How Does Blockchain Solve Counterfeiting? The wide scope of consumer products available. Faults and a lack of transparency in supply chains, including manufacturing, transport and logistics, and sales. Cost of enforcement (monetary and human resources). Lack of resources and enforcement capabilities to reduce/enforce IP law. Huge increases in international freight and trade, and subsequently the logistics involved. So how does the blockchain solve these problems, and is it a viable solution to reduce counterfeiting the world over? The first, and most obvious solution provided by the blockchain is a redesign of the supply chain. It’s very nature as a decentralized ledger, that is able to store a complete history of transactions on a shared database, means that we can trace a products movements across the world. 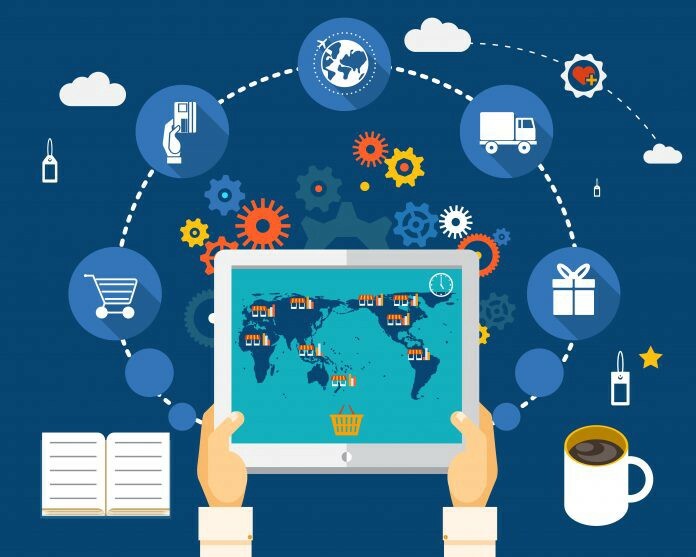 Moreover, with clever innovations we can now track every link in the supply chain, from manufacturer, to distributor, to freight and transport, to customs and finally to the retailer, with each step along the way contributing data to a network that can prove the origin of the product, trace its ownership, and provide authentication. The fact that the information in this ledger can be accessed from anywhere in the world using a smartphone means we now have a very real means of ensuring that the consumer at the end of the supply chain is receiving the product they expect to. This also places power back into the hands of the consumer, who can access the same information as retailers, transforming their understanding of the product, its origins, and the manufacturing process- allowing for more informed, and ethical, consumer choices. For example, Origins, a New Zealand startup, is using blockchain to trace the creation and sale of garments, and will allow consumers to “verify the source of apparel in the retail industry in a quest to end modern-day slavery.” The same sort of technology can be used to trace things like the origin of coffee, from the physical labor required to pick and roast the beans, right up until the brew is poured into our cups, ensuring the entire process has been ethical and maintains the appropriate standards of care. Walton Chain is another example of a blockchain based company whose supply chain solution combines RFID tracking technology with the immutable and decentralized nature of the blockchain, to create real transparency and efficiencies in business processes. 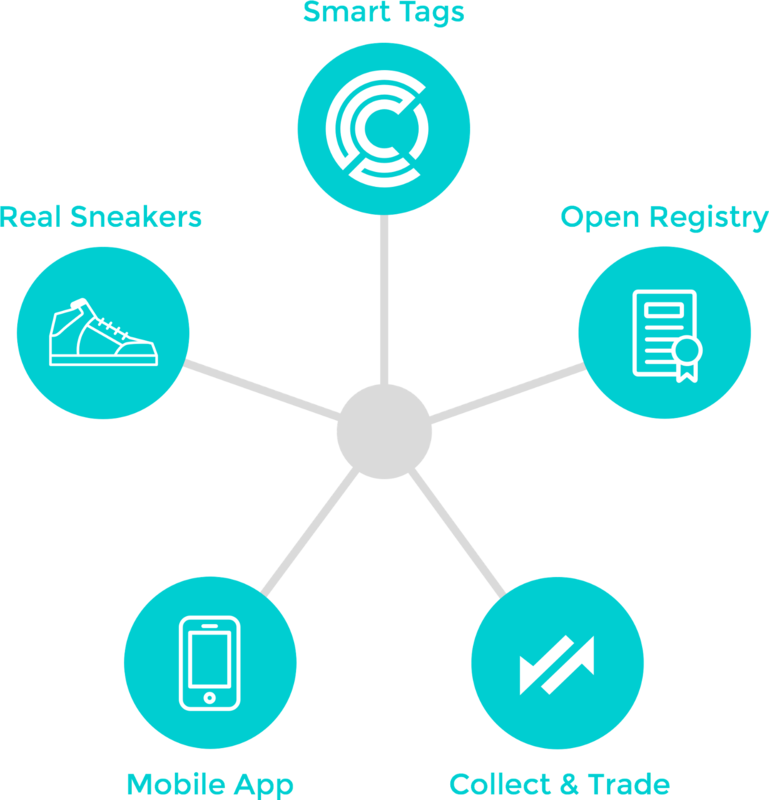 These chips are embedded in physical assets, such as an item of clothing, and can constantly feed information and updates back into the blockchain- allowing for garments and products to be completely traceable, create an immutable record of all transactions, and a new layer of anti-counterfeit protection. Blockchain isn’t just changing the clothing industry. Supply chain solutions can also be applied to medicine and pharmaceuticals for the same purpose. Every medicine packet/bottle can be assigned a unique, cryptographically protected identifier, allowing the manufacture and transport of these items to be identified, and verified as legitimate products. In 2014, it was revealed that fake pharmaceutical products imitating those created by Pfizer- one of the largest drug manufacturing companies in the world- were being sold in 107 countries! In a black market that is growing by 20% a year, and responsible for an increasing amount of fatalities, using blockchain solutions as a means of counterfeit protection can save millions of lives every year. Perhaps one of the largest impacts that the blockchain will have is in the intellectual property, digital, and intangible asset classes. Until now, it has been almost impossible to stop the reproduction of digital files and misuse of IP, for example, branding, licensing, manufacturing processes etc… and mitigate third-party interference, human interpretation, and remuneration for breaches. Thanks to the immutable nature of the blockchain, and the development of smart contracts, it is now possible to establish and enforce IP agreements, as the varying rules and restrictions can be coded directly into the asset, dictating terms, contract stipulations, and real world rights. This means that, in the event of an IP breach or unlawful reproduction, we can not only trace exactly where and when it happened, and by who, we already have a pre-determined, and automated, means of contract enforcement and remuneration for the affected parties. This is revolutionary in the digital world, as for the first time since the inception of the internet we have returned property rights to the intangible asset class. It also gives IP owners new platforms and mediums to digitise their properties and opens new avenues for global distribution and adoption. 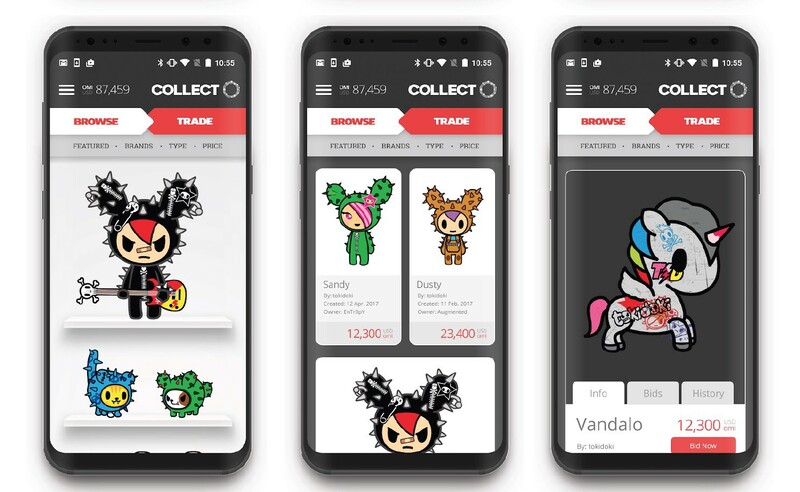 For example, ECOMI Collect is acquiring licenses for recognisable brands across film and television, animation, games, and artwork, to repurpose their IP and content into a new digital form- as digital collectible items. Thanks to the blockchain, this content can be purchased, traded and sold as tokens. The sale of these new tokenised digital assets is traceable through the blockchain’s ledger, and verifiably unique and identifiable, taking counterfeit, fraud and digital reproduction out of the equation. Will We See an End to Counterfeit Goods? As much as I would like this answer to be a resounding yes, we aren’t there yet. Obviously, the blockchain won’t stop counterfeiting that consumers buy in full awareness, and acceptance, of their fake or reproduced nature. Not to mention that the practical applications of this technology are only just beginning to be developed, and I would expect it to take years before they are fully integrated into supply chains, logistics, and manufacturing processes. However, there are already a great number of real use cases and examples of the capabilities of blockchain technology, particularly in reducing the number of counterfeit goods ending up in consumer's hands, as well as raising the much-needed awareness around the damage caused by counterfeiting on international trade, consumer health, and ethical practice. Ultimately, a blockchain is a mechanism that can restore trust between manufacturers and consumers, for both tangible and intangible assets, and in the process, it is empowering consumers with more transparency, knowledge, and choice- and that is where the true power lies. ECOMI’s mission is to utilise blockchain technology to create the world’s best platform to pay, protect, and collect premium licensed digital collectibles. ECOMI delivers the freedom to secure and control your digital assets, data, and cryptocurrencies with user-friendly products and applications. Join the community on Telegram, Twitter and Facebook.